Modern professional elegance with boundless choices to compliment your style. 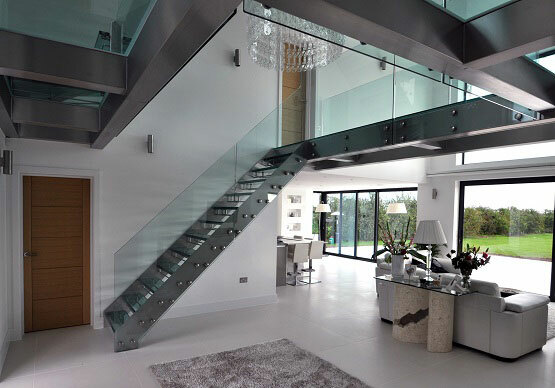 Cutting edge design and manufacturing excellence come together in our Flair range of staircases. 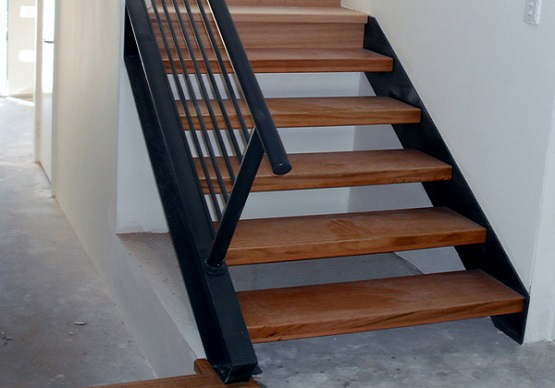 This is the most customisable steel stair available and is manufactured from quality BlueScope flat plate steel. Available in a range of options from a standard shaped, zig-zag cut or even a single central effect support stringer. 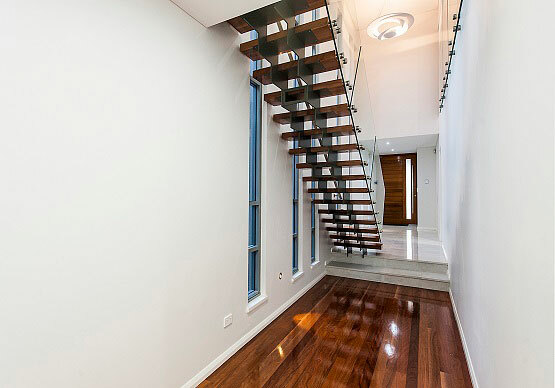 Leave the risers open to create a bright spacious feel or choose the same or different material to the treads to create a closed rise. Finished with a beautiful powder coating as standard, the combinations are only limited by your imagination. 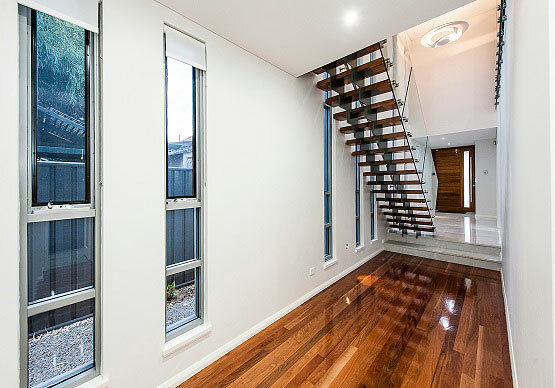 Choose your treads from one of our quality timbers, Tasmanian Oak, Jarrah, NSW Blackbutt, American White Oak, French Oak or American Black Walnut. 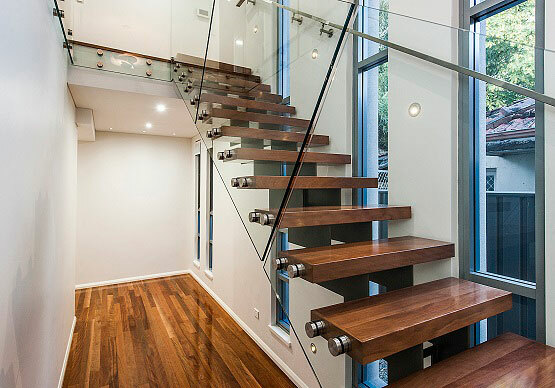 Alternatively, let us engineer the treads from the same boards as your flooring to create a perfect match. 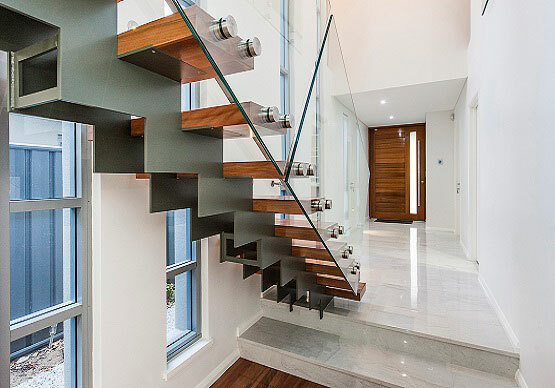 Various balustrades options are available including frameless and semi-frameless glass and stainless steel rod and wire to complete this unique centrepiece to your living space. 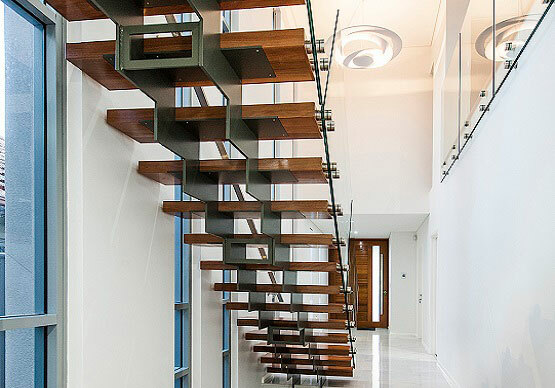 Let your creativity loose with the Majestic Flair range and build a truly exclusive showpiece staircase.